Thank you for saying thank you! It really does put a spring in our step. Here’s a selection of the emails & social media comments we receive on a weekly basis which should give you a fair and non bias account of what you can expect from the Little Dog. Thank you I have received my cards and absolutely love them. I have received my order this morning and am writing to say thank you for such wonderful items which are of high quality and we’re all beautifully wrapped. 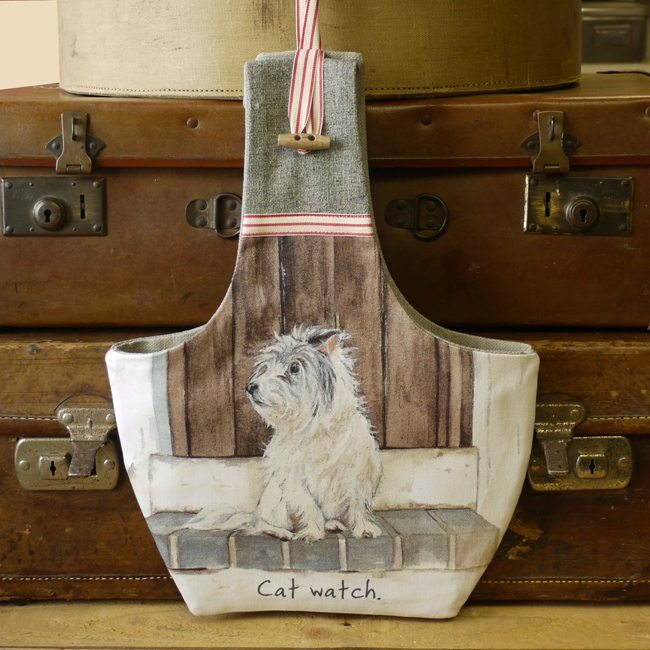 I fund raise for an animal charity and I know people are going to love your items. Hello – I’m not in the habit of writing to firms to comment on their service, much less their packaging, but – there’s always a first time ! I’ve just received my first order from you, and I was blown away by the way it had been so beautifully and carefully wrapped and presented. I felt as if I was receiving a gift. In fact, I took my time to appreciate the wrapping and the lovely box, before I ever got to the order itself. That personal touch really impressed me, and the adhesive tape, the tissue wrap, all with your logo, just looked so professional. I knew when my parcel was arriving thanks to the updates, and I cannot fault the service I’ve had. And then, most importantly, the cards, and the rest of the order were just great. Really high quality prints, and merchandise, simply lovely. you are doing, and how pleased I was with my parcel. It will not be the last order I place – for a start, I must get another box for my daughter – so well done ! I am delighted with my parcel, so beautifully wrapped. I love these cards and just decided I would look them up online. Glad I did! Just want to let you know that the package arrived safely yesterday. be a nice reminder of the kindness you extended to me throughout. Just wanted to say thank you for the service, we love the cushion! Thanks for all you really impressive help which was so very good. I have sent my niece, Karen, an email telling her to expect the package. 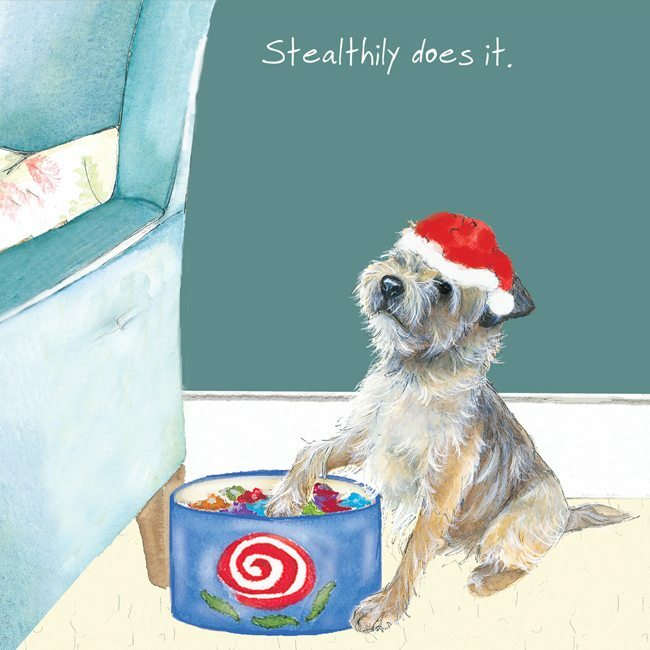 Over the weekend, I will send some photos of Tessa, our Border Terrier. We love her so very much! O thank you so much! You have been more than helpful to me and I want you to know how much I appreciate your warm and thoughtful customer service. The coaster will be a darling addition. I will e-mail you one more time when the package arrives, just to share our delight! After discovering an outlet for your merchandise in west wales where we moved to in summer, I purchased from your website yesterday. We have 2 big dogs who we have managed to keep off our new sofas since the move!! 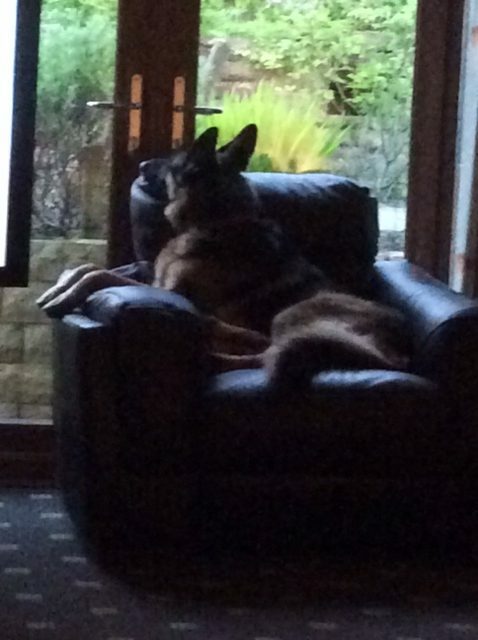 I just had to send you a picture of Alex in her fave chair at our old house. It reminds me of “that” card. The info on the rescue dogs is really good so keep up the good work. Fantastic service and a fantastic product. Many thanks for my parcel which arrived safely yesterday all beautifully packed and with very prompt service . Thank you so much for my recent order placed just last Friday which arrived on my doorstep early this morning. What amazing service! Everything is in perfect condition. I even adore your company’s bespoke tissue paper, and have kept the boxes from previous orders because the illustrations on them are simply a joy. I also have a Douglas The Boy Wonder postcard and one of his labels (again from earlier purchases) on the pin board above my computer. the kind of ‘can do’ attitude. In closing, thank you very much for being prepared to ship product to NZ customers. We are so fortunate. Just wanted to pass on my very grateful thanks for getting the card to me so quickly. on Sat who was thrilled (has whippets). 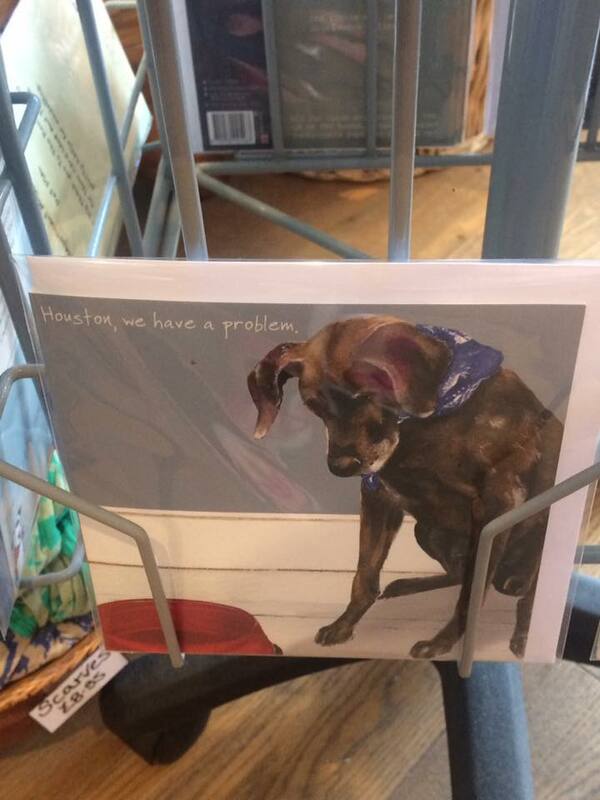 She knows your company well & she said the dog in the card depicts exactly the position one of hers takes, so result! Please do pass on my positive review to everyone within The Little Dog Laughed. I have so enjoyed all my purchases from yourselves. I received my shipment !!! I will definitely be shopping there again! 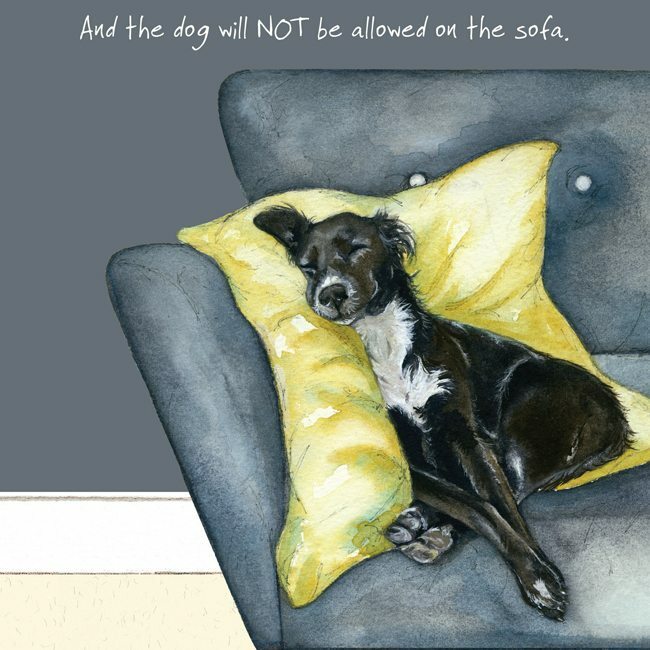 I spoke to Katie Fri morning at about 10.00 and ordered 10 x “Remembering the Cat” and 10 x “Remembering the Dog” as a few friends/relatives have had pets die over the last 3 weeks. The cards arrived today – very efficient. More importantly, I asked Katie if she could send one of the dog cards to my niece in Manchester who’s 14 year old Labrador Ben died on Thu. She said she could and asked what words we would like on the card. That card also arrived today – absolutely excellent Customer Service. Both my diaries have arrived today. I just wanted to tell you that my order arrived yesterday and I couldn’t be more thrilled. Your packaging rivals no other! The face you’ve used in Scruffy Love could be our Phoebe. She is very pleased with her new bowl! I’m so glad I found your website and I’ll be ordering from you again. Just a small email to say a big thank you. My order arrived earlier today (Wed) As I had only ordered my goodies on Mon, I was delighted. Really pleased with the contents also! Can’t stop buying things from you absolutely beautiful goods, excellent quality and the designs are beautiful. 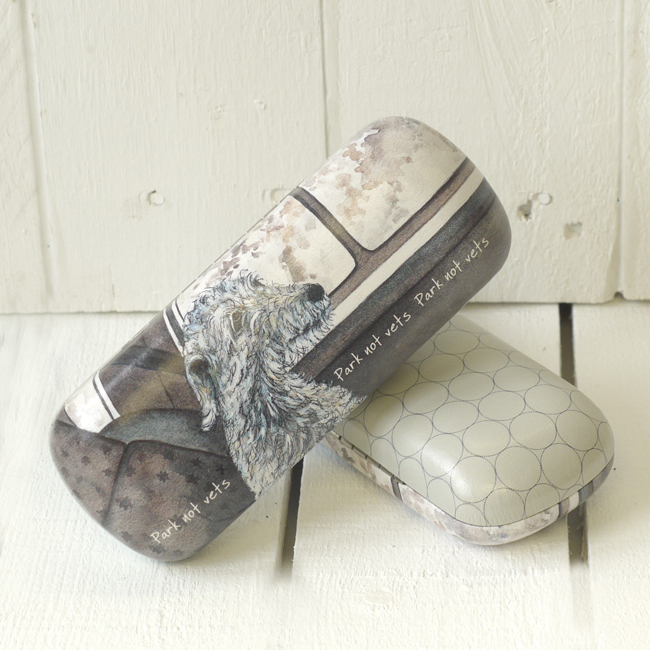 I’ve just bought a “ Douglas” handbag and the Scruffy Love cushion and wash bag, but I honestly can’t stop ordering! Anything new you want reviewing I would love to help! 100% recommended to everyone. Already posted pictures on my Facebook page showing your lovely goods. Just to let you know my cards arrived today and in pristine condition. Hi all at Little Dog Towers. I have recently been gifted some LDL products and become a huge fan, which in turn forced me to check out the website and purchase more. Received quick delivery and can’t fault the quality of goods and packaging. Best wishes for the next 20 years. Love your products and looking forward to next years calendar . I’d like to say a huge big thank you for getting my order out and delivered so quickly, it arrived today all beautifully wrapped. I absolutely love my Douglas the Boy Wonder items and I’ve already received compliments and inquiries! I will now add to those how excellent your customer service is too. 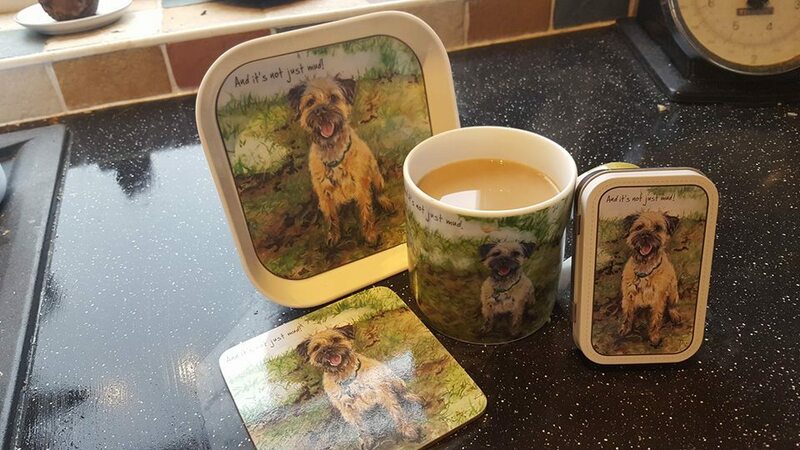 Hi Katie – just wanted to let you know the mug’s just this second arrived, so many thanks for turning that round so quickly. My other half was very attached to the previous one – good job it was her that broke it! Just wanted to say thank you for your prompt response to my order, all arrived safely & was so well packaged. A definite 5* service, thank you. Hello, I recently visited the Denby visitor centre and came across your range of greetings cards in their gift shop. I am very impressed with the choice and I have found nothing to compare with the range. The reason I am writing to you is because I occasionally send a 5$ bill to a cat rescue centre in the USA. 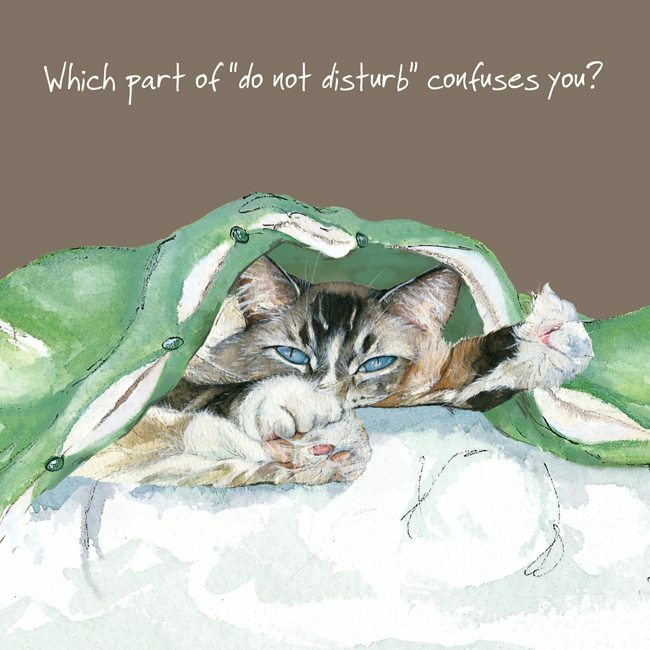 When I came across your cat cards I was thrilled to buy some for this special donation. Didn’t get chance to reply to your email re my order over Christmas but just wanted to say thank you so much for being so helpful. I can’t fault the customer service or the products. The order arrived quickly and was beautifully wrapped. My niece loved the mug and coasters. I’ve bought some products, they give me and their recipients so much pleasure, I had to tell you myself. Thank you all for being such a wonderful company, and keep it up. I just want to pass on my thanks – a little belatedly for which I apologise – for the order I received last month (placed at the end of Oct 17) which arrived in good time and in very good order. The quality of the products is superb. I must confess not all will be gifted to friends!! Even the tissue paper used and the gorgeous ‘Douglas the Boy Wonder’ box are of beautiful quality which is appreciated. The latter will make the most splendid storage box. So, from the bottom of the world thank you for your wonderful products and service. Wishing all the team a wonderful Festive and Holiday Season. Happy Christmas!! Thank you so much for my gorgeous little Douglas shopper. You took so much care in packing and it looks so beautiful can,t wait to go shopping will be ordering again shortly. I just wanted to reach out and thank you. My barn cat Hugo was chosen in 2017 by default. He was Mr June in the moggy calendar. He recently passed and it gives me so much comfort having the drawing you did. Before he passed I noticed he was on the inside cover of your diary for 2018 so I ordered that. Just wanted to let you know that we received our order today. Everything looks great and arrived in perfect condition. Thanks so much for the speedy service! I would just like to say thank-you so very much for the fast P&P of the items I ordered on Sunday. They were a last minute gift for my mother’s birthday. She is going on holiday tomorrow morning and I had already told her that she would have to wait for a belated gift upon her return. This afternoon when the DHL delivery arrived, I could not have been more thrilled. 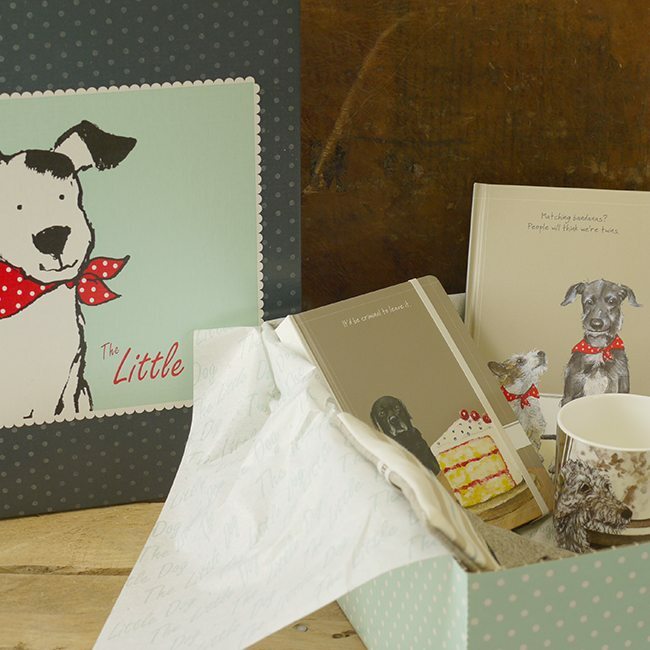 My mother gets her gift on her birthday and I know she will love to see those little dogs on her present – to remind her so much of her own little terrier. It couldn’t be a better present for her. I just received my Douglas tote bag, mug and notebook and wanted to say it was beautifully wrapped and presented. The products are gorgeous and little finishing touches perfect. Service is fantastic, delivery super quick.I love all the products I ordered such a lovely design. On holiday in Cornwall and look what I found in Ebb & Flow in St Ives. My boy on his card, very proud mummy! Thank you so much received my order today so beautifully packed with such thought, items excellent. I love everything so hard not to buy it all! I especially like the ‘park not vets’ items which I already have as I’m a vet so always makes me chuckle. Thank you again great service! I felt compelled to email as I have just seen Douglas the boy wonder products at Center Parcs in Thetford and have fallen totally in love with him. It runs deeper as my late father’s name was Douglas (never Doug) and he loved dogs and dogs adored him. Needless to say I will buying many items and entering into competitions to add to my up and coming collection, starting with a Douglas mug. My order arrived this after – all perfect I’m delighted to say. I really like the presentation of the delivery box – could I make a suggestion? The box was so attractive I spent a while trying to remove the address label so I could re-use the box but it wasn’t a satisfactory process. My suggestion is – invest in the type of label which is easily removable – most people would be happy to remove the label, keep the box to re-use and your brand would therefore be in a customer’s home as a visual reminder of your brand. Just wanted to confirm safe receipt of my order and to say ‘thank you’ for the prompt efficient service and speedy dispatch! I hope I sell lots and place another order in the near future. Lovely new set from The Little Dog Crufts yesterday. Just want to let you know that we LOVE the new range of cards. Very funny. We will be back for some. Thanks for the order which arrived this morning – everything is perfect. 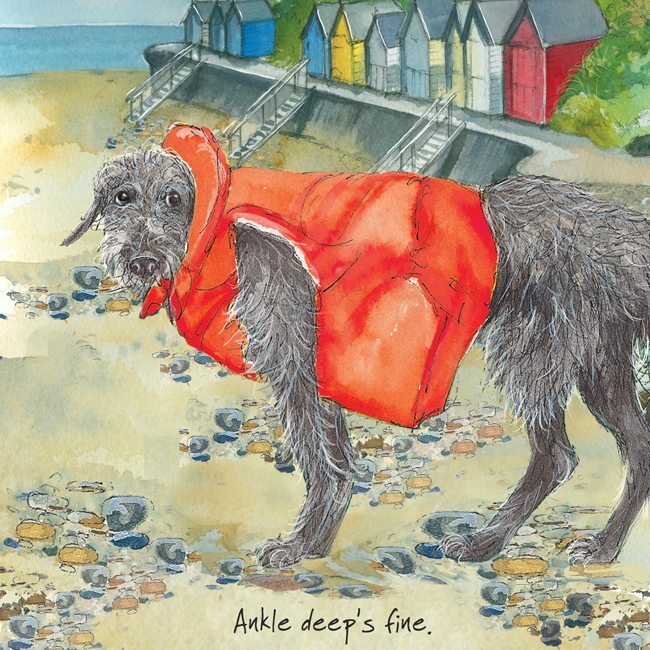 The poor lurcher in the red safety jacket has the same look that my first deerhound wore when she saw the sea for the first time. Congratulations on a wonderful mix of items and superb artwork. Hi I’ve just signed up to your wonderful site & saw that customers can send in photos so thought you may like this one of my new kitten Bob ! I just wanted to thank you very much for the doodle print you sent me, excellent service and super speedy delivery. 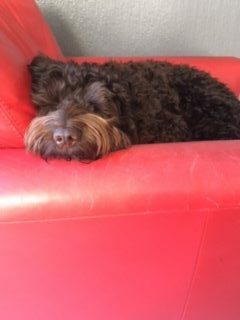 This is my very own doodle after his daily dash, looks exactly the same. Thank you once again for going that extra mile! I hope you pass on my delight to your bosses as your customer service is outstanding! With my grateful appreciation and a big woof! Thank you so much for the art print that you had made up for us. 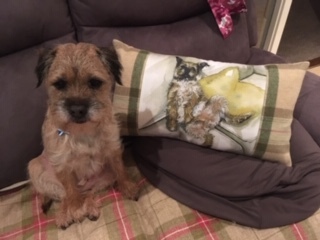 I wanted a perfect gift for my mother in law – she was in love with this artwork but couldn’t find anywhere that stocked the scruffy terrier saying “I’m guessing we haven’t got time for this!” It suits her border terrier Ludo to a tee, the little monkey. When I contacted your team, nothing was too much trouble & within a few days the print had been made up & was on its way out to me. We are completely delighted with it, and with the customer service you provided. Just to let you know that the above order for a shopping bag arrived safely today. It’s beautifully made and I am absolutely delighted with it. Thank you for such excellent service, as usual. 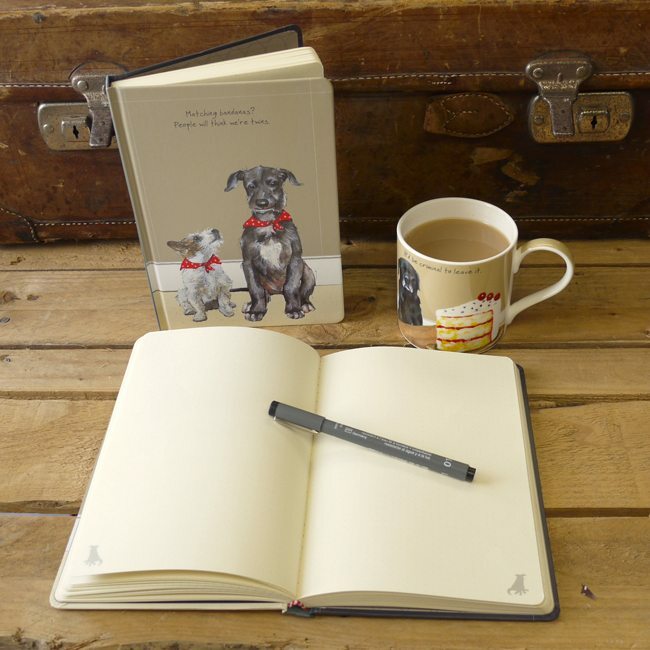 I just wanted to send you a quick email to say that I ordered the A5 -Twins notebook as a gift for someone, it arrived yesterday and I think it’s lovely. Great quality and it really made me giggle. Can’t wait to give it to my friend. I will definitely be buying from you again. Thank you very much for my order which arrived on Friday (and I only placed it on Wednesday). Everything was beautifully wrapped and the box itself is a treat. Fantastic and thank you again to all the team. 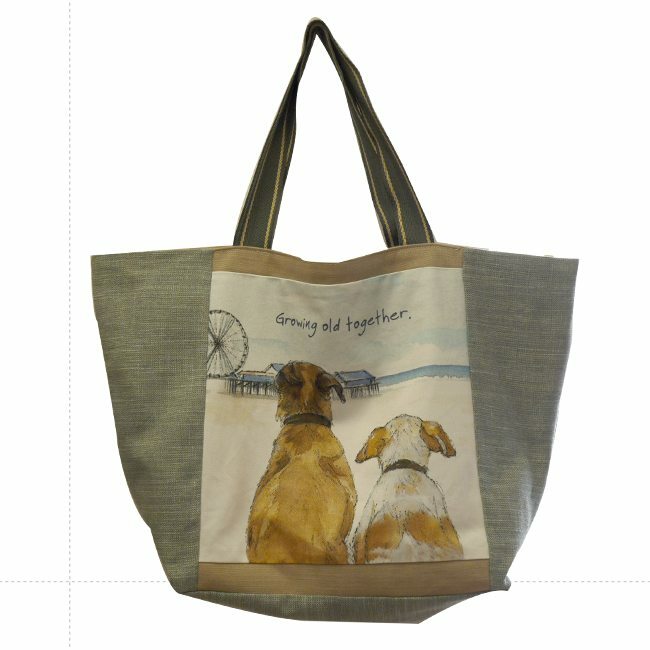 My “Growing Old Together” shopper, peg bag and cards arrived yesterday. As usual, they were beautifully packed and it is all brilliant – Thank you so much for brightening my day. Just a note to say how delighted I am with my order and the box in which everything was so beautifully packed. Thank you so much. The quality of your products and your attention to detail is fantastic and very rare these days! Growing Old Bag has arrived today! LOVE IT LOVE IT LOVE IT!!! LOVE IT LOVE IT LOVE IT!! LOVE IT LOVE IT LOVE IT!!! THANK YOU SO MUCH I EVEN LOVED THE BOX IT CAME IN!! PROMPT PERSONAL AND EXCELLENT SERVICE THE BEST!! !